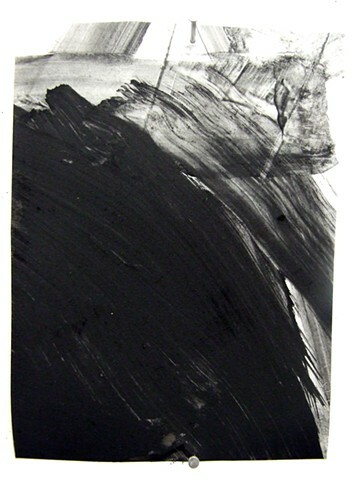 Bernhard earned her Master of Fine Arts in Painting at the Laguna College of Art and Design in Laguna Beach, California; her Bachelor’s degree in Painting with specialization in Watercolor from the American Academy of Art, Chicago, and has previously studied at the Vitruvian Fine Art Studio in Chicago and the Sons of Turner Painting Workshop in Savannah, Georgia. 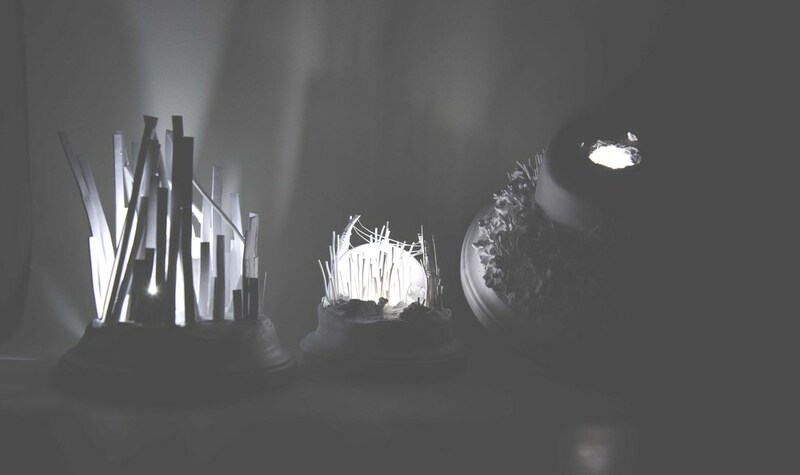 She has served as an instructor for numerous institutions including the Evanston Art Center and American Academy of Art in Chicago, as well as the Laguna College of Art and Design and has received numerous awards and accolades, including Best of Show, Manifest: Rites of Passage Exhibition (2011); Best of Show President’s Award, American Academy of Fine Art Exhibition (2011); and First Place Illustration Award, American Academy of Art Exhibition (2008 and 2009). Cindy Bernhard has taken part in dozens of exhibitions in throughout California, New York, and Chicago, and was one of the featured artists in JNFA’s special exhibition “Chicago in Paris” at France’s Galerie Boicos. "Sleep", 2014, oil on paper, 10x9 in. "Deepening Blue," 2013, oil on paper, 9x10 in. 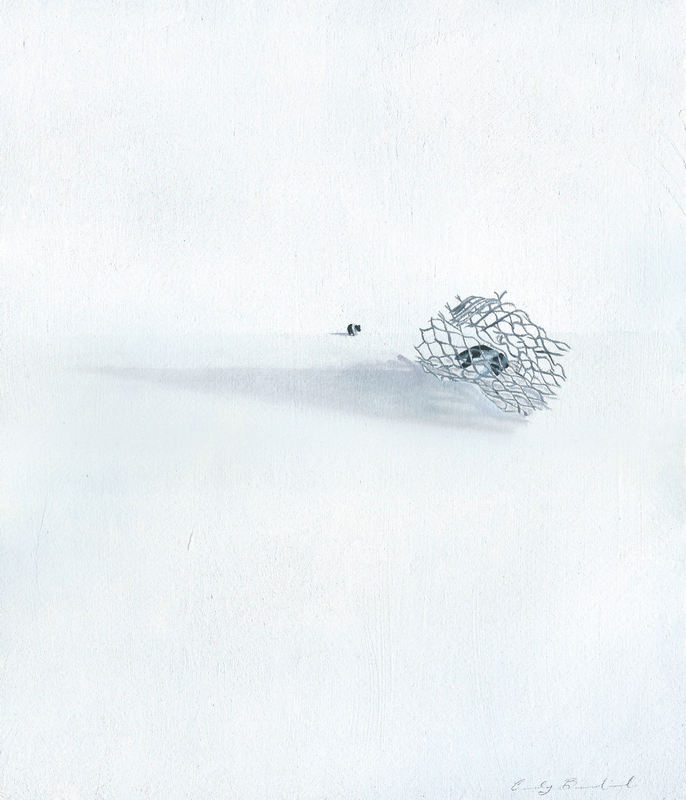 "Hole," 2014, oil on paper, 9x10 in. "Eclipse," 2014, oil on paper, 9x10 in. "Like This," 2013, oil on paper, 9x10 in. "Mountain Pigs," 2014, oil on paper, 10x9 in. 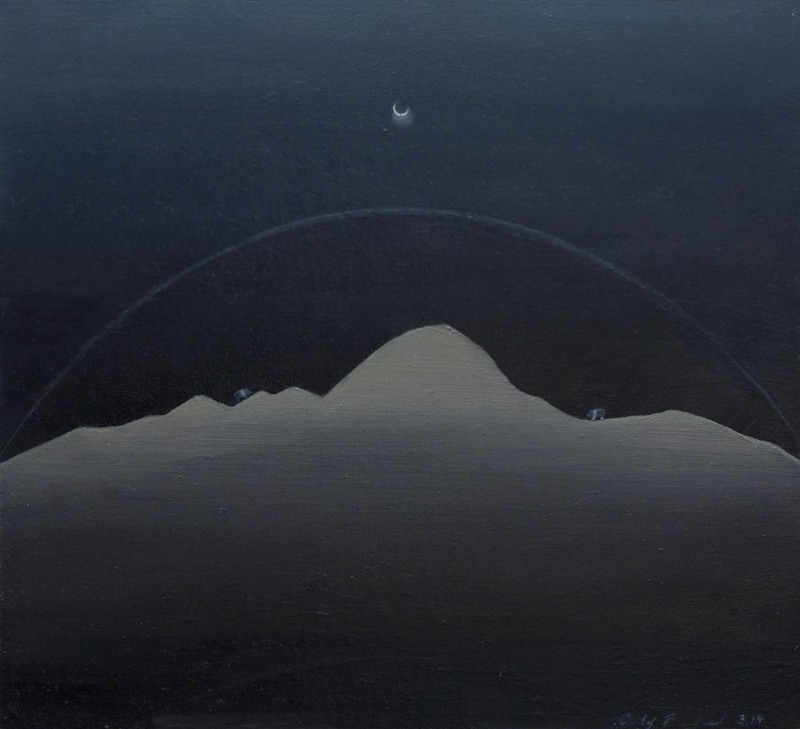 "New Moon," 2014, oil on canvas, 10x9 in. "Mountain Crown," 2014, oil on paper, 9x10 in. "Foreboding," 2014, oil on paper, 9x10 in. "Rainbow," 2014, oil on paper, 9x10 in. "Scoop," 2014, oil on paper, 9x10 in. 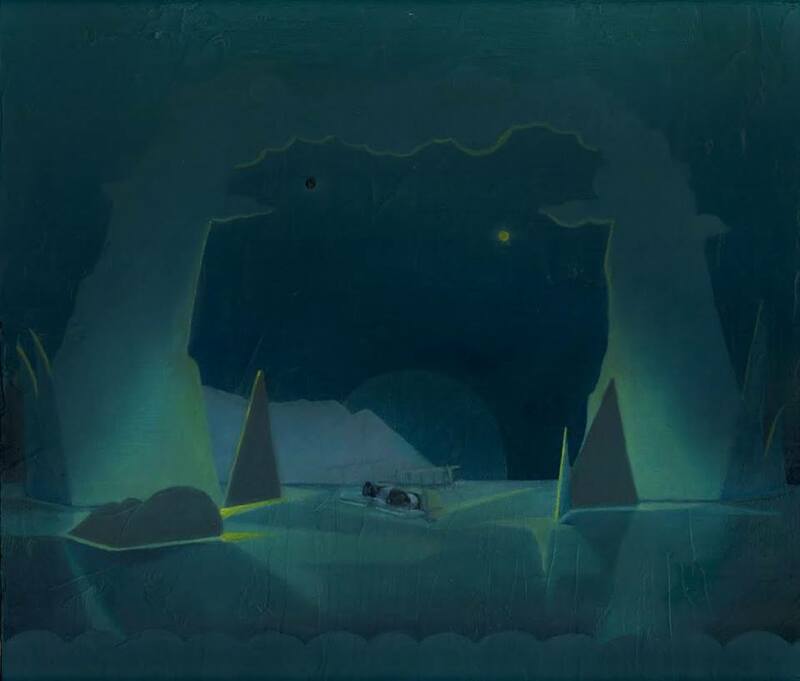 "White Moon," 2014, oil on paper, 10x9 in. "St. Elmo," 2014, oil on paper, 10x9 in. "Maze," 2014, oil on paper, 10x9 in. "Reckless," 2014, oil on paper, 9x10 in. 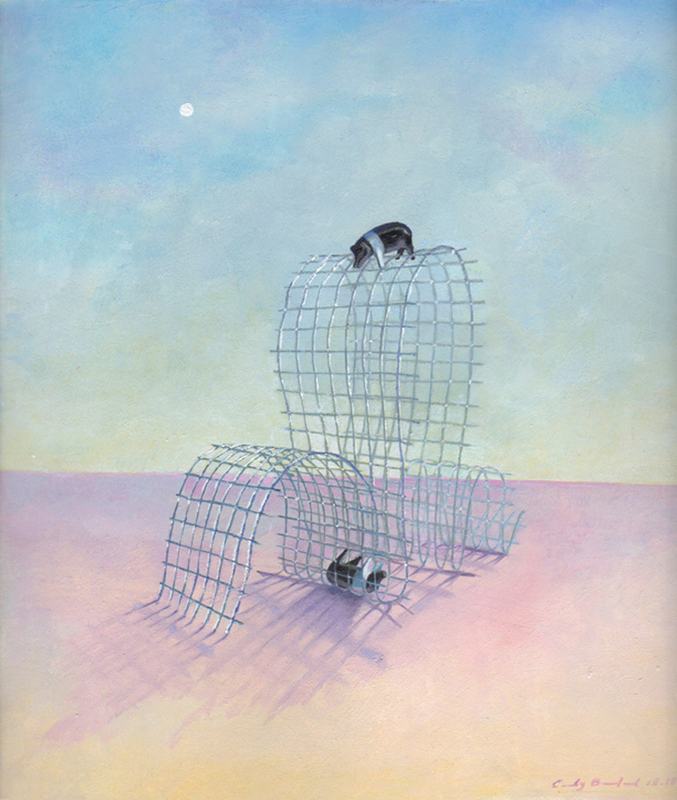 "Barrier," 20133, oil on paper, 9x10 in. 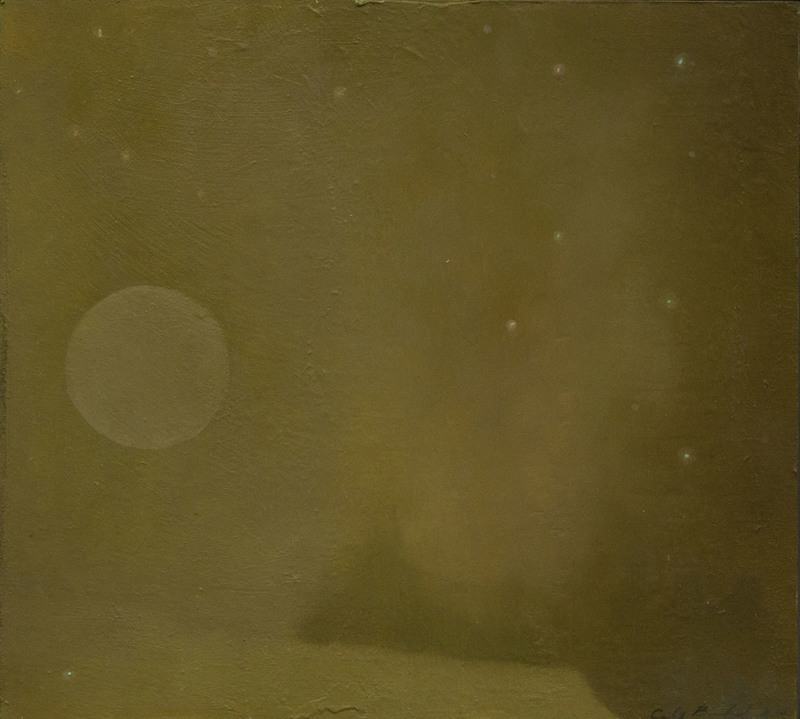 "Moon," 2014, oil on paper, 10x9 in. 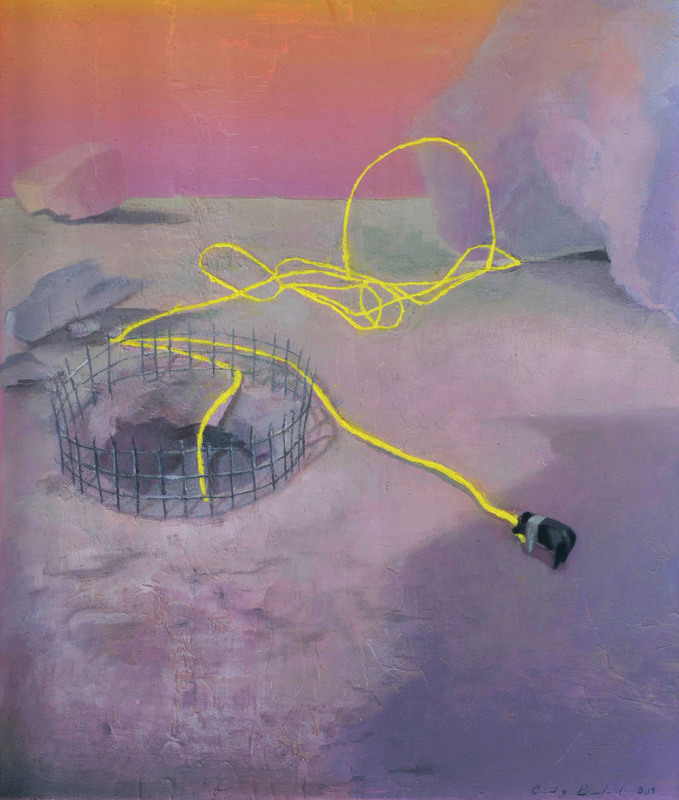 "Floating White Land," 2015, oil on canvas, 40x40 in. 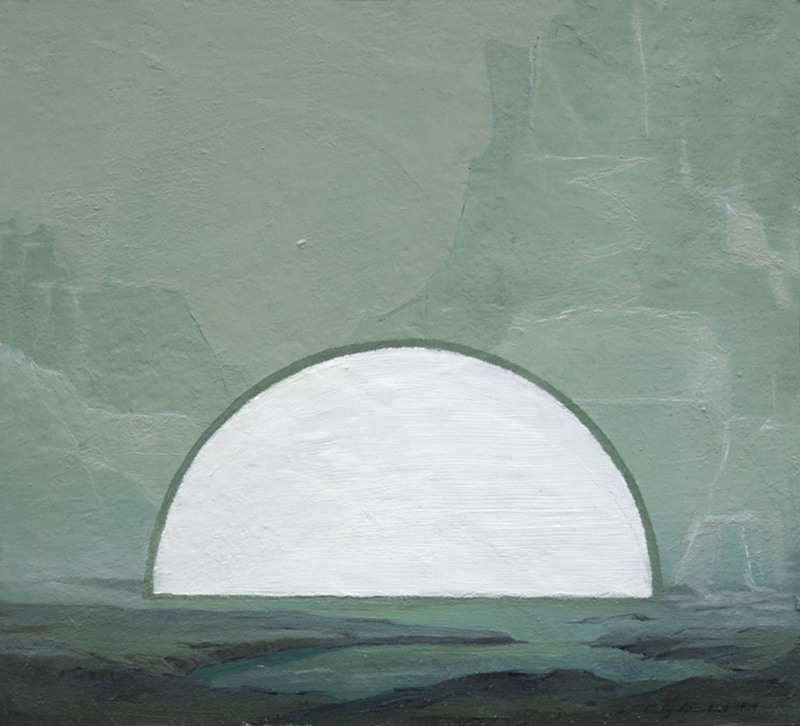 "White Land," 2014, oil on canvas, 20x16 in. "Fence One," 2015, oil on paper, 12x10 in. "Fence Two," 2015, oil on paper, 12x10 in. 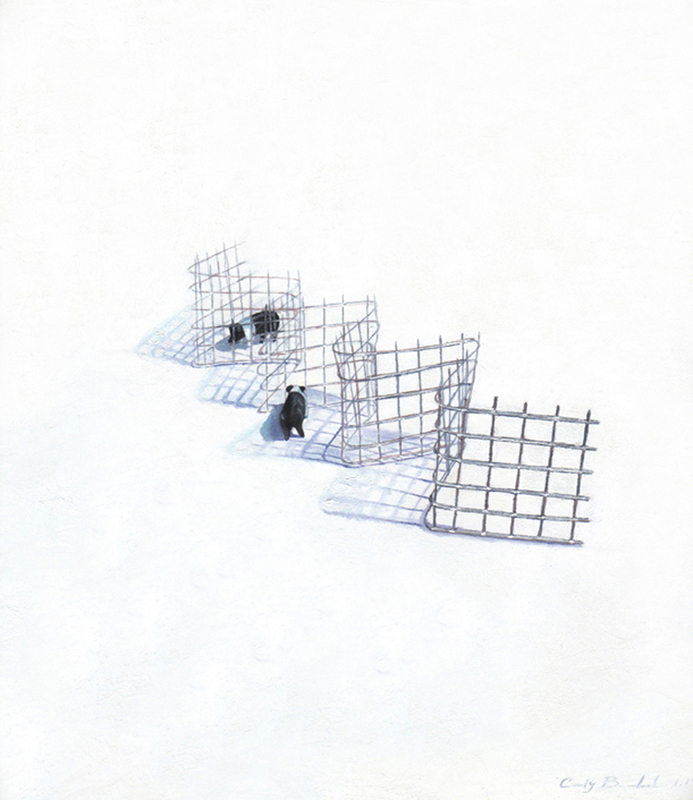 "Fence Three," 2015, oil on paper, 12x10 in. "Sonnet Five," 2015, oil on board, 5x5 in. 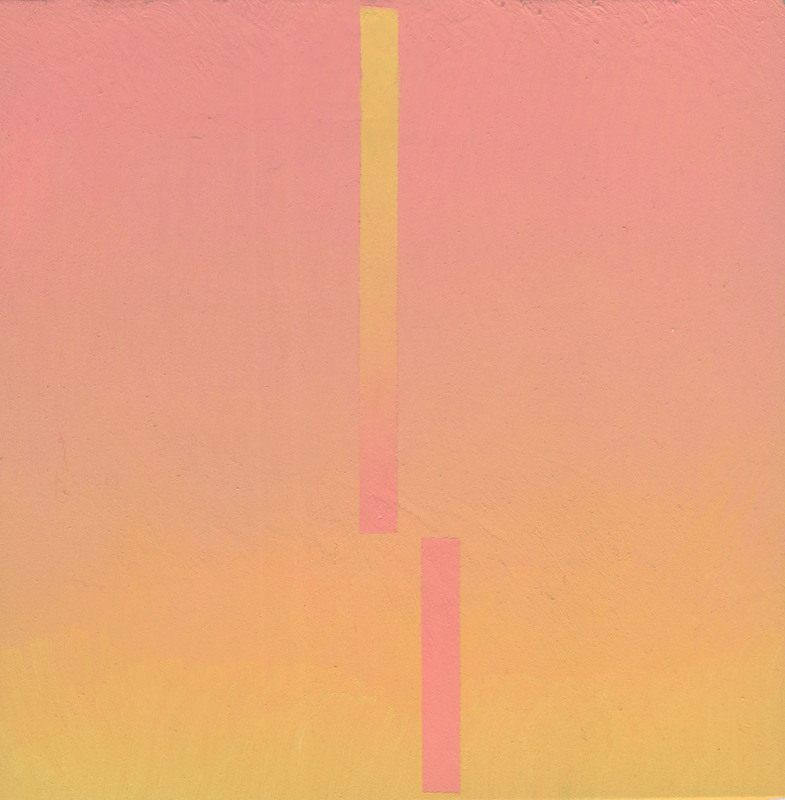 "Sonnet Four," 2015, oil on board, 5x5 in. "Sonnet One," 2015, oil on board, 5x5 in. "Sonnet Six," 2015, oil on board, 5x5 in. "Sonnet Three," 2015, oil on board, 5x5 in. "Sonnet Two," 2015, oil on board, 5x5 in. "Sonnet Eight," 2015, oil on paper, 10x10 in. "Sonnet Seven," 2015, oil on paper, 10x10 in. "Waunder," 2014, mixed media, 3.5x2x2 in. "Large Cylinder," 2014, mixed media, 3.5x5x5 in. "Arch with Pig," 2014, mixed media, 2x2x2 in. "Leftovers," 2014, mixed media, 2x2x2 in. "Mini Mountain," 2014, mixed media, 3.5x4x4 in. 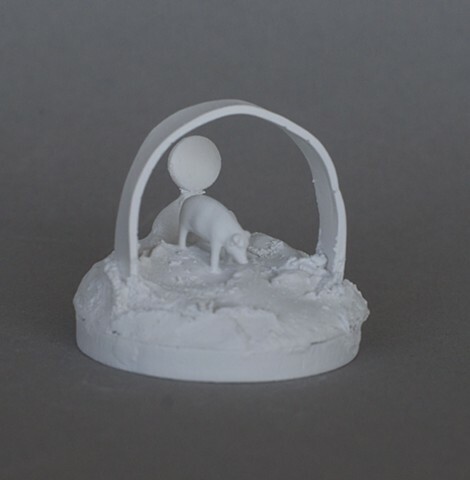 "Large Arch," 2014, mixed media, 4.5x5x5 in. "Arch with Rock," 2014, mixed media, 2x2x2 in. 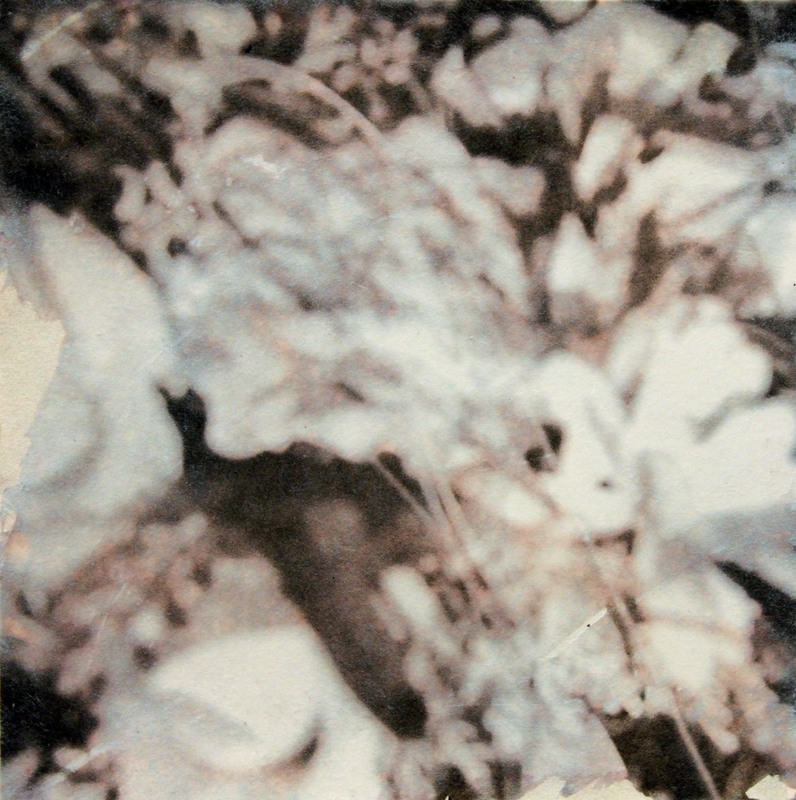 "Grass with Light," 2014, mixed media, 4x4x4 in. "Cylinder with Pig," 2014, mixed media, 2x2x2 in. "Pile," 2014, mixed media, 4x7x5 in. "Rose," 2014, mixed media, 1x2x2 in. 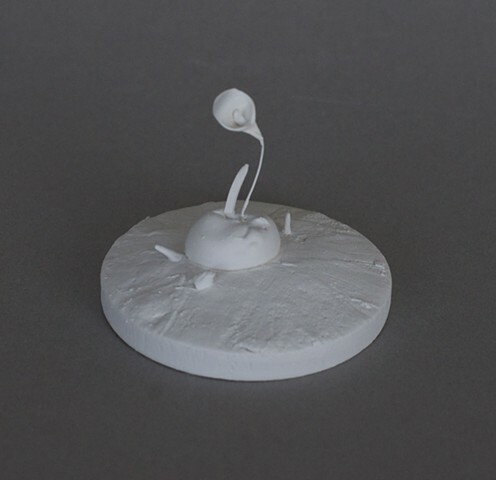 "Deep Hole," 2014, mixed media, 4.5x6.5x6.5 in. "Leftovers #2," 2014, mixed media 1.5x2x2 in. "Planks," 2014, mixed media, 6x5x5 in. "Waiting on Your Letters," 2015, gouache on paper, 6x6 in. "Moonshine," 2015, gouache on paper, 6x6 in. "Harvest," 2015, gouache on paper, 6x6 in. "Young Constellations," 2015, gouache on paper, 6x6 in. "Couch", 2012, watercolor on paper and acetate, 44x61.5 in. 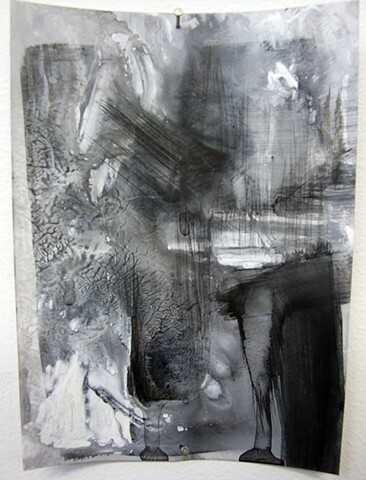 "Ridge Road", 2011, watercolor on paper and acetate, 44.5x57 in. 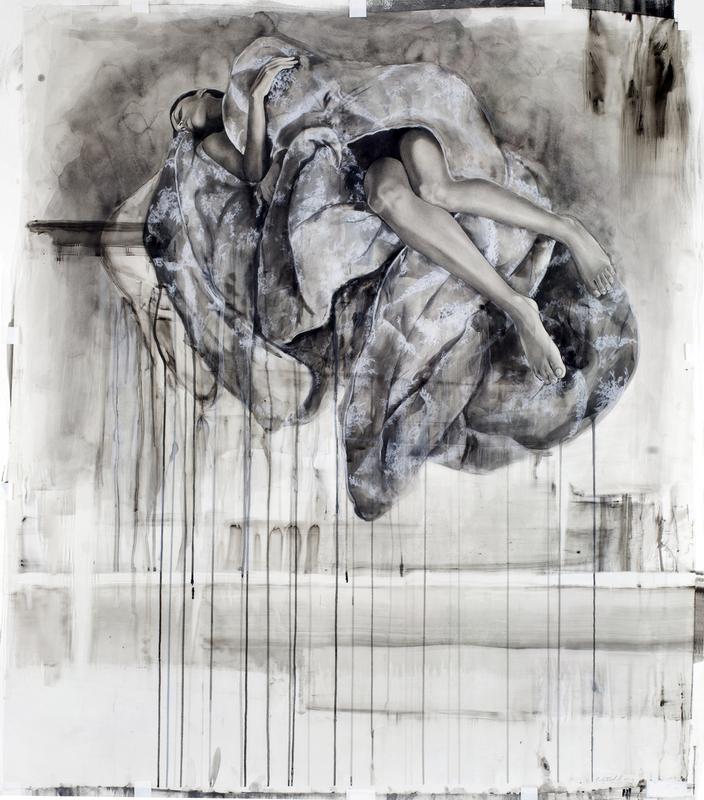 "Bed," 2011, watercolor and mixed media on paper, 44x53 in. "Mother Blue", 2012, watercolor on paper and acetate, 77x42 in. 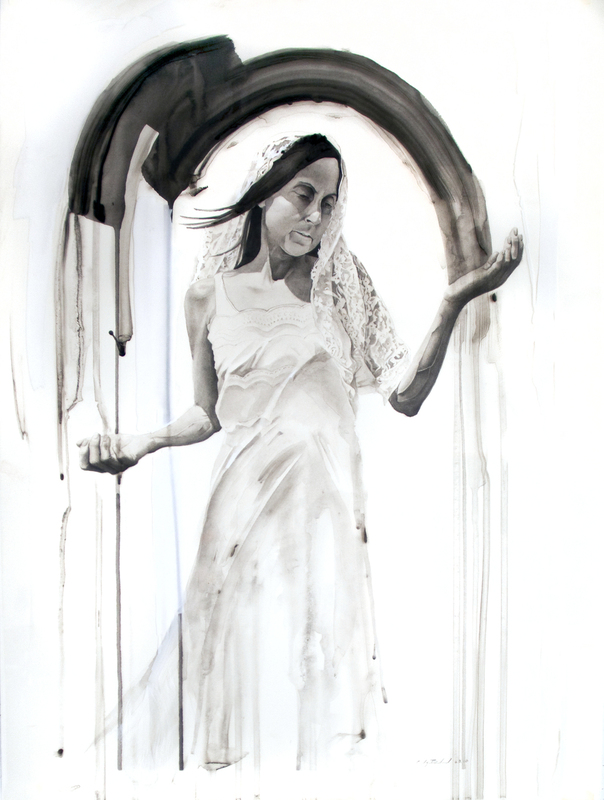 "Sarah Diptych", 2011, watercolor on paper and acetate, 24x36 in. 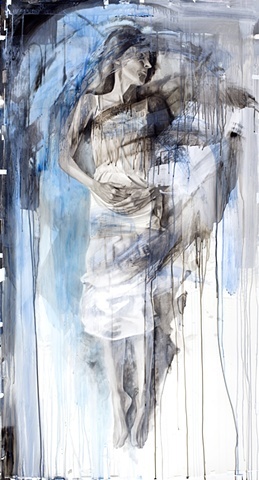 "Elizabeth", 2011, watercolor and mixed media on paper, 75x54 in. "Mary", 2012, watercolor on paper, 10.5x9.5 in. 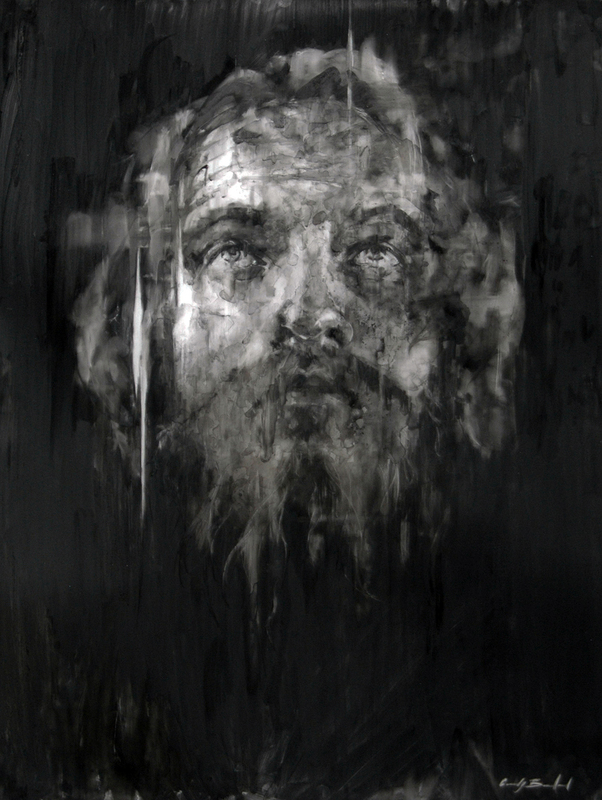 "Stephen", 2012, charcoal on mylar, 24x18 in. 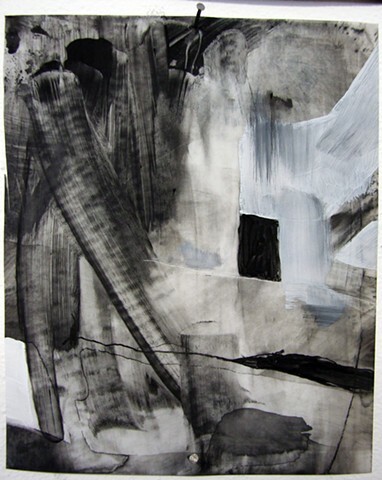 "Security", 2010, watercolor on paper and acetate, 45x39 in. 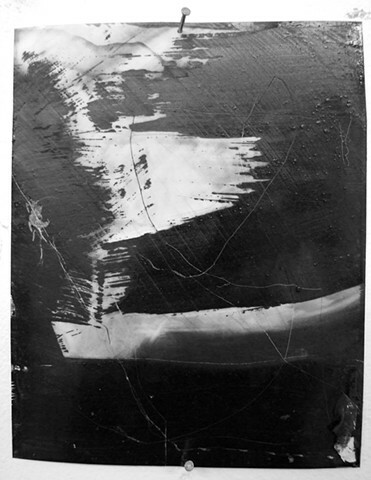 "Loss of Faith", 2012, charcoal on mylar, 8x12 in. "Mother 3", 2012, watercolor on paper and acetate, 18x24 in. "Mother 1", 2012, watercolor on paper and acetate, 18x24 in. "Mother 2", 2012, watercolor on paper and acetate, 24x18 in. 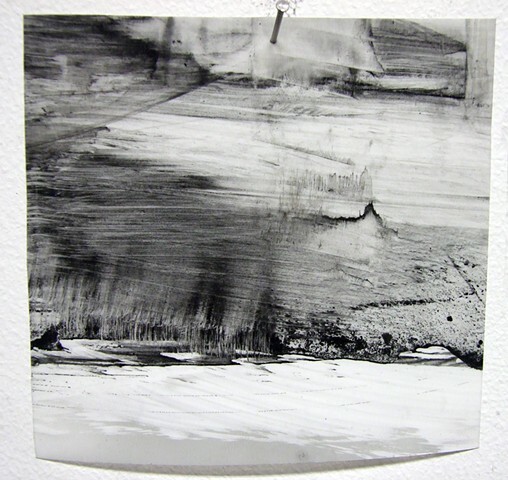 "Graveyard", 2013, charcoal on mylar, 52x42 in. 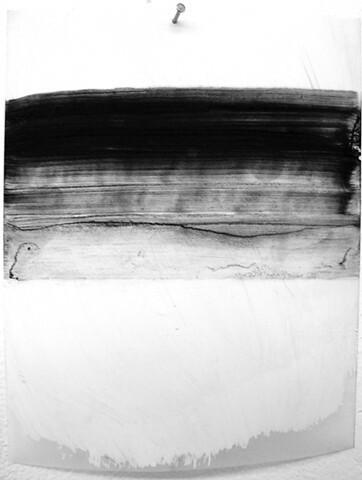 "The Drowning", 2010, tar, gasoline, charcoal, watercolor on paper and acetate, 57.5x32 in. 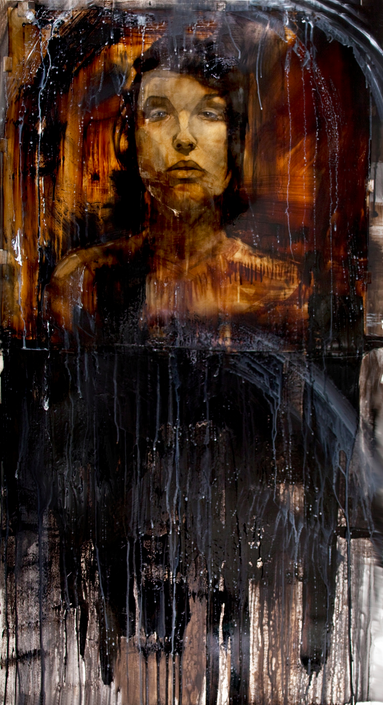 "Self Portrait Diptych", 2011, watercolor and acrylic on paper, 71x35 in. 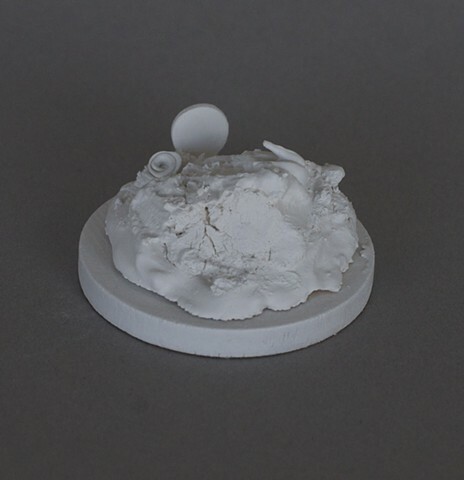 "Cemetery 1," 2013, mixed media, 5x5 in. "Cemetery 2," 2013, mixed media, 5x5 in. "Cemetery 3," 2013, mixed media, 5x5 in. "Cemetery 4," 2013, mixed media, 5x5 in. "Cemetery 5," 2013, mixed media, 5x5 in.